I welcome another guest author! Fs425 has come up with a real fun (and lighthearted) look at the search for Sam Winchester's true personality. Enjoy! 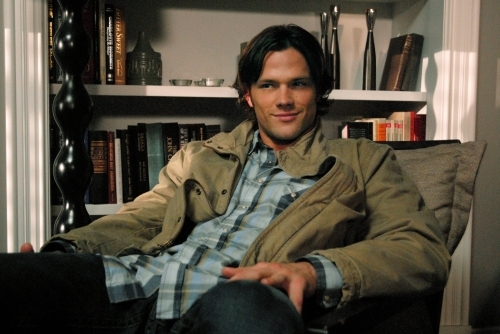 WANTED: A PERSONALITY FOR SAM WINCHESTER! Every dedicated Supernatural fan will tell you they know everything there is to know about Dean Winchester. He loves classic rock, classic cars, David Hasselhoff , cheeseburgers and pie, he wears the same leather jacket, the same necklace (until recently) and has even had the same hair style for the past 5 seasons. But what about Sam?! What are his likes and dislikes? The poor guy still really hasn’t figured out his place in the world, I mean just look at him! Well no worries Sammy, we’ll help you find a personality! If brains were to be the most dominating feature of Sam’s character, I imagine his likes and interests would be books and computers, his most frequent haunt the library, his food addictions would be Red Bull, coffee, Mountain Dew-whatever the kids have these days to stay awake and study! Smart Sam’s dislikes would include loud music and he would possibly like something a bit more mellow, some recent alternative music probably. Favourite movies would be a list of thought provoking flicks like 2012 or the Day After tomorrow, or maybe something comic book based like Superman. WHY IT FITS: A Mathlete in high school as uncovered by a fellow hunter Travis in Season Four’s “metamorphosis”, Sam left his family to go to Stanford on a full ride – obviously he must be intelligent. In the show he constantly bears the duty of research and is a walking talking handbook of lore. WHY IT DOESN’T FIT: Sam can’t just be the Brains because he has the Brawn too…. And besides how many of us actually want him to be a nerd anyway?! If he was to be the depressed sort, he would have a very distinct taste in music which would be his biggest interest. His favourite songs would include "It’s Been A While" by Staind, "Hurt" by Nine inch nails, or perhaps something by Snow Patrol. He’d enjoy reading and would be a fan of art. He would also wear a lot of black. WHY IT FITS: Sam has always been of a more serious nature rarely the one cracking jokes and often getting annoyed with Dean with a look that clearly says: Dude, you’re being immature. Also he likes to talk about his feelings a lot! Besides there’s plenty of reason for him to be a sad guy : dead parents, dead girlfriend, a constant struggle to prove himself to his brother, no home, no career, repeated guilt trips over starting the apocalypse... the whole schabang! He’s even got the puppy dog eyes to match this persona. WHY IT DOESN’T FIT: Drawing a blank here, it does fit pretty well! If Lucifer’s vessel was a religious guy, in the words of Lynyrd Skynyrd he would be a “simple kinda man”. With no particular taste in movies or music, he would be – in the words of Lynyrd Skynyrd- a “simple kinda man”. Quiet and of a forgiving nature, his sole interest would be doing good. He would also dress simply and neatly- none of Dean’s leather jackets, amulets or silver rings. He would also eat healthily. WHY IT FITS: In the episode of season 2 named ‘Houses of The Holy’ we found out – much to Dean’s shock and ours too- that Sam prays! Every day! He is a firmly established do-gooder who always looks for the best in people and firmly believes in second chances. After all, he believed Ruby was good, despite being a demon even though Dean never trusted her. Sam also prefers a healthier diet and usually expresses either amazement or disgust at the food Dean eats, as was seen in "Mystery Spot." Your typical bad guy would be into hard rock and metal , possibly have piercings or tattoos, would drink a lot or have some sort of addiction ,would look burly and muscular and wear dark clothes. Humour would not be his gift but sarcasm would be right up the alley. WHY IT FITS: Sam was addicted to demon blood! He started the Apocalypse! Choose demon Ruby over his own brother! He even wanted to befriend the Trickster who killed Dean repeatedly! The fact that he was destined to be Lucifer’s true vessel speaks for itself. Beneath that calm and sweet exterior might lie one twisted man. WHY IT DOESN’T FIT: As it is famously said : The road to hell is paved with good intentions. Whatever he did, no matter how twisted , he did it for the very best of reasons. As for going to hell these boys could beat Houdini when it comes to escapology so no biggie there either. 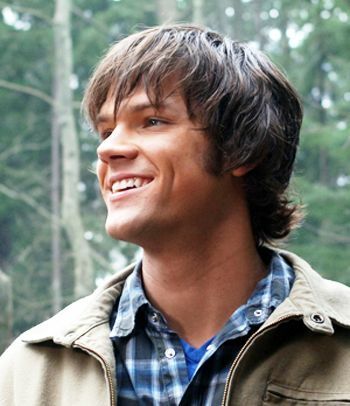 So those were possible personalities for Sam Winchester…. He is one complicated guy! As he said about himself in season five’s "Free to Be You and Me," he is truly a riddle wrapped inside an enigma wrapped inside a taco! Wonder how he would feel about this article? Or maybe he’s just happy we have helped him find himself! I'm not the biggest fan of Sam, but I thoroughly enjoyed this article. I think it's very interesting that he has so many layers to him. Another one you might have mentioned is his anger issues. Lord knows he has them! What I like most about these guys is that neither of them are perfect and neither fit into a solid stereotype. They've got the good, the bad, and the downright ugly all wrapped up inside and that, to me, makes them all the more amazing and real and sympathetic. fs425, this Samgirl here is thankful for your article. Maybe Darling Big Sammy hasn't found his place in the world yet, but he has - with flaws an all - secured a place in y heart. This is the best analysis of sams that anyone could have ever come up with. Loved each and every bit of the article you rock fs425!!!! i loved the article! 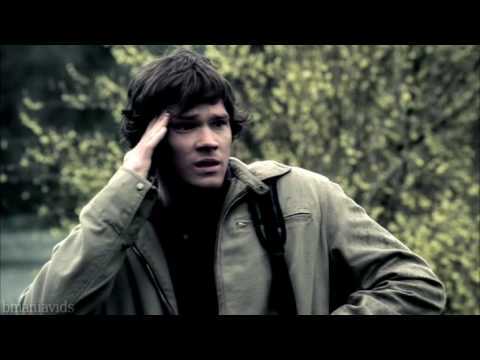 you've unraveled the mystery that is sam winchester! a highly insightful and well researched look into young sammy winchester's multi dimensional character!from a true supernatural fan no doubt! a big thanks to everyone who read my article and liked it, and to alice for accepting it hope i can think of more! Welcome and thank you for sharing this insightful article. Sam is certainly an intriguing and controversial character. I just love him and Dean for that matter. hey...buddy it was too good ..seriously ,you are awesome !keep writing more ,because even though i dont watch it , i know i will be reading your articles with interest ......in the end; it was awesome buddy !! a good article, you hit the head of the nail. sam is a complicated guy and got alot to him that you cant see with the naked eye.